﻿ Real Madrid 2-0 Barcelona. A Supercup for a super team! 16.08.2017 » Real Madrid 2-0 Barcelona. A Supercup for a super team! Real Madrid have wrapped up their second trophy this month, after beating Barcelona 2-0 in the second leg of the Spanish SuperCup. Marco Asensio and Karim Benzema made the difference in the scoreboard with a goal each, in the first of a 5-game ban Cristiano Ronaldo has to go through. We couldn't have asked for a better start to this season. 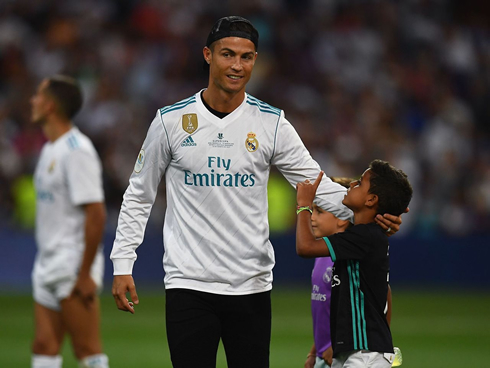 After winning the European Supercup against Manchester United last week, Real Madrid now brought home the Spanish Supercup following a 2-0 win against Barcelona at the Santiago Bernabéu. 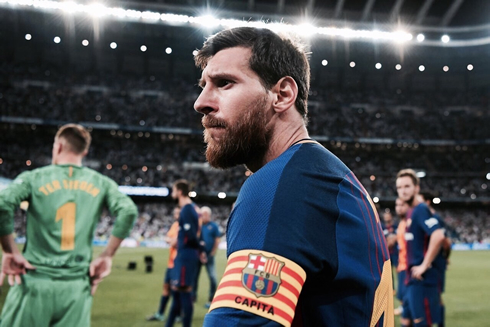 There's no contestation whatsoever in a 2-leg final that ended up with the Merengues building a favorable 5-1 scoreline and now it's going to be interesting to see how these 2 games will affect the rest of the season of both Barça and Madrid. Tonight's win started with another terrific goal from Marco Asensio, who beat Ter Stegen with a rocket from outside the box. Karim Benzema would then seal the deal near the half-time break, making it 2-0 for the European champions. 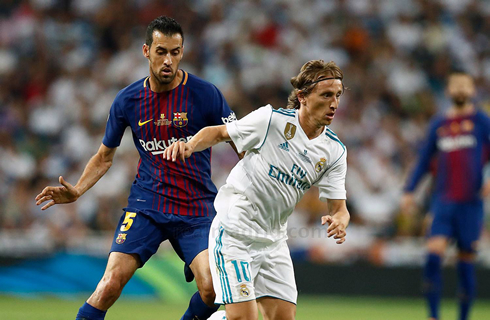 A rapturous Bernabéu excitedly awaited today's second leg, as Real Madrid faced off against Barcelona in the second leg of the Supercopa. Of course, all of the talk pregame was centered around Cristiano Ronaldo's suspension and his subsequent ban, but turns out tonight was all about celebration for Madrid, as they ran off to a 2-0 victory securing a 5-1 overall victory over the two legs. 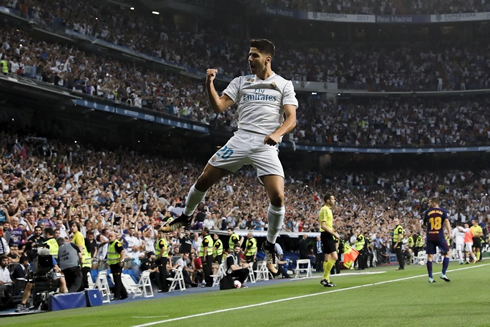 It was a fantastic night overall and it was marked by none other than Marco Asensio, who is becoming quite the star in Madrid. The youngster scored yet another screamer to give Madrid a 1-0 lead after merely 4 minutes. And from then, we knew the night was a formality. Zinedine Zidane let some other players have the limelight tonight. Lucas Vasquez and Marco Asensio both found themselves in the starting lineup, as Isco and Bale took their seats on the bench. Somewhat surprisingly, Casemiro was also on the bench as Luka Modric returned following his suspension. However, in the first half it felt like it wouldn't matter who was on the pitch. Real Madrid bossed the game and looked phenomenal doing so. Asensio's 4th-minute rocket was astonishing, so much so that Ter Stegen could only look on as it smashed into the back of the net. 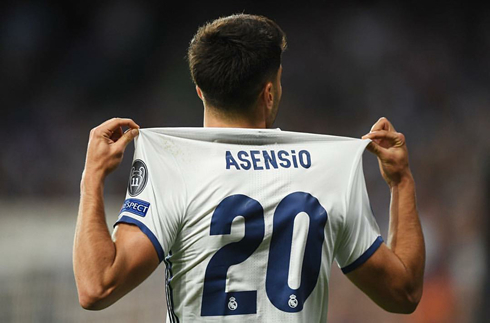 Asensio is making some habit of these other worldly goals and the Bernabéu surely appreciates it. The rest of the first half turned into a bit of a showcase, as Madrid looked to put the result far beyond any possible doubt. Lucas Vasquez hit the post with a left-footed shot and Toni Kroos also had his effort go wide. Eventually, none other than Karim Benzema would put the tie to rest with a smooth control and volleyed finish from just outside the six-yard-box. Just 39 minutes in and Madrid were not only up 2-0 on the night, but now 5-1 on aggregate. 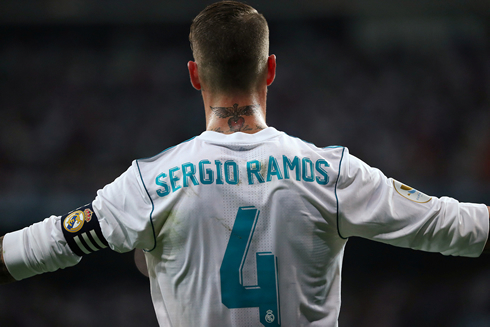 As the Bernabéu transitioned into a party, both sides began to play a bit more relaxed in the second half. This actually allowed Barcelona to get far more into the game, as both Messi and Suarez would hit the woodwork in the second half. Madrid had their chances of their own as well, but failed to score again. Regardless, what a night! It seemed like more than just a Supercopa game as well. Madrid looked like a squad and club that's on the rise, while Barcelona look like they have a lot of work to do. Of course, anything can happen this season, but Florentino Perez has set up this Madrid team for a long time and it couldn't be more beautiful. Hala Madrid y Nada Mas! Attackers: Asensio, Lucas Vázquez, Benzema. Cristiano Ronaldo next game is for La Liga on August 20 of 2017 against Deportivo de la Coruña. You can watch Juventus live stream, Deportivo vs Real Madrid, AC Milan vs FK Skhendija, Swansea City vs Manchester United, Everton vs Hadjuk Split, and Bayern Munich vs Bayer Leverkusen, all matches provided from our soccer streaming game pages.